The Robert Wood Johnson Foundation supports the PhD program. Dr. DeAnne K. Hilfinger Messias is the 2017 recipient of the Leininger Transcultural Nursing Award. Dr. Ronda Hughes and her team are working to improve decision-making and gain new knowledge that will enhance health care. If you visit the College of Nursing, you'll notice some big changes in the public spaces on the first and second floors; renovations to the lobbies and elevators were finished in October. A nursing degree from USC helped make Patricia Edens Eddy's dreams come true. Now, she wants to help make that experience available for others. A diagnosis of lung cancer used to be a near-certain death sentence, but as early detection of the disease continues to improve and treatment becomes more effective, survivors are growing in number. 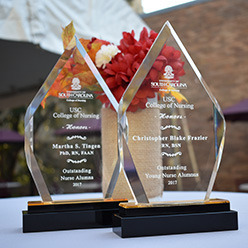 Christopher Blake Frazier, RN, BSN, received the Outstanding Young Nurse Alumnus award; Dr. Martha S. Tingen, PhD, RN, FAAN, received the Outstanding Nurse Alumna award. For nursing students, Leah Miller, Jordan Fenninger and Amanda Pridgeon, marching band provides more than practice for early-morning hospital shifts. Dr. Tisha Felder is testing strategies to help breast cancer survivors improve adherence to hormonal therapy that could save their lives. 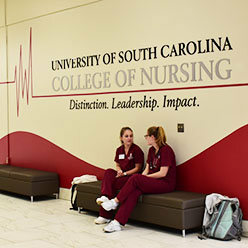 The College of Nursing makes a big impact on S.C.'s rural health care, with initiatives in place to address rural health disparities, improve mental health access and respect cultural differences in health care decision making. 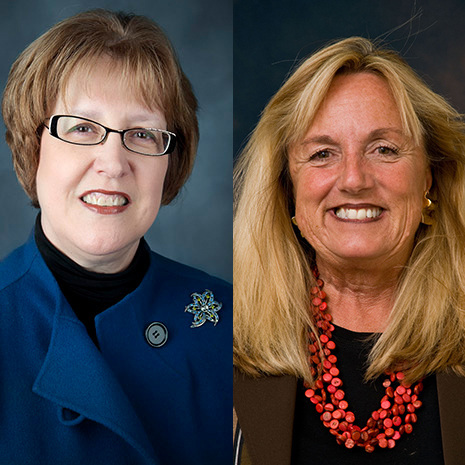 The College of Nursing has appointed key senior faculty members, including new associate deans for academics and faculty affairs, an assistant dean of graduate programs, as well as a new director of the Clinical Simulation Laboratory. 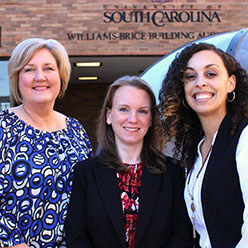 South Carolina Nurses Foundation (SCNF) scholarship winners, De'Aaricka Wilkes and Danielle Glass, are inspired by patient connections. A nurse practitioner role at the VA hospital gave alumna Kimberly Eaker a second chance at caring for patients from her past. Come back to campus Oct. 27-28, 2017, for two days full of events planned for alumni and friends of the college as well as those in the health care community. In recognition of World Heart Day, the staff of the university's Capstone Scholars Program has completed training and is now certified in cardio-pulmonary resuscitation. It's the real world of nursing where caregivers act as cognitive detectives while juggling competing demands. USC nursing students boost competency through clinical simulation training. While many of his nursing school classmates spent their summer clad in scrubs providing patient care, Bradley Quarles donned a suit and tie, answered phones and met constituents. Brenna DeLaine, Patricia Eddy, Rozalynn Goodwin, Terry Peace and Marshall Prince have joined the board for the 2017-2019 term. Dr. Cindy Corbett joins the college as the SmartState Endowed Chair for Nursing. Support for nursing students drives Jeanne Cavanaugh and Pattie Heady to give back to the College of Nursing. They are two of the first group of members of the college's Dean's Circle. Dr. Stephanie Burgess has been awarded a HRSA grant with support of the SC Promise Zone to increase the number of primary care FNPs in South Carolina's rural areas. 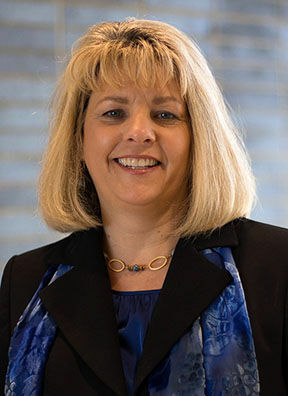 Dr. Robin Dail joins the college as the Associate Dean of Faculty Affairs. 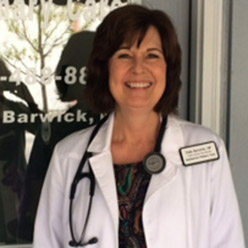 A career in nursing wasn't always the plan for Dale Barwick. She attended Clemson University to be a veterinarian, but plans changed. After advice from a family friend, Dale changed her major and she hasn't looked back. Nursing faculty members and students provide care, learn new systems around the globe. 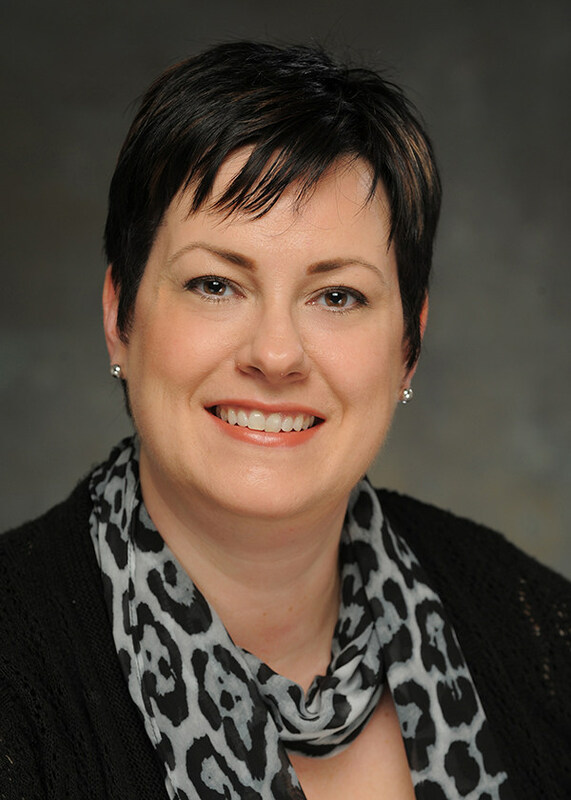 Dr. Kristen Starnes-Ott will join the college this month as the Associate Dean of Academics. 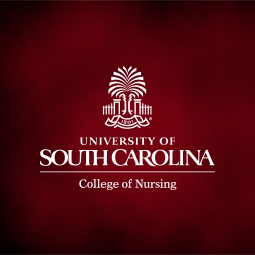 How is UofSCNursing responding to the Nursing Shortage? The registered nurse shortage is again in full bloom here in South Carolina and in regions across the US. We now have an estimated 2000 RN vacancies across the state. As part of a $2.5 million, 4-year grant from the National Institutes of Health and the National Library of Medicine, more than 550 emergency personnel, faculty and students from the College of Nursing participated in a drill that was a carbon copy of a deadly South Carolina train accident. Over 150 healthcare professionals attended the 2017 Annual Leadership Summit sponsored by The Center for Nursing Leadership. What is rest? Eboni Harris asked a group of African-American women this question as part of her doctoral thesis. She’s a 2017 recipient of the Breakthrough Graduate Scholar Award. Alumna Alexandra Nitsos, '16 BSN, shares her experiences in the Dominican Republic as an ambassador for the Foundation for International Medical Relief of Children. The debate continues on whether nurse practitioners should be able write certain prescriptions, and more. Three new faculty members have joined our celebrated staff. With extensive clinical and educational backgrounds, they bring a wealth of knowledge and experience to nursing classrooms. Nursing student Bradley Quarles may have given USC's iconic plastic token another function: saving lives. 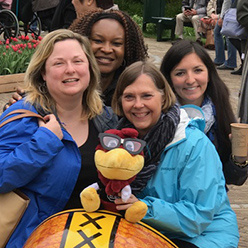 The Master’s of Science in Nursing Organizational Leadership program graduated its first two alumni in 2016, Erica Coward in summer 2016 and Ashley Ball in fall 2016. The Venice Gardner Lisenby Nursing Scholarship has been established in memory of Venice Gardner Lisenby by her daughter to provide assistance to deserving BSN students.